Disclosure: I received some of these items complimentary, but all thoughts and opinions are my own. Another thing I love about Furrytale Friends is that all the items go together – the houses, whether you get a dog house, Tony’s Restaurant, or Marie’s house, they all stack together so you can make one big Furrytale Friends neighborhood! How adorable is that? The figures themselves are unique, with the tops of their heads being fuzzy and their bodies are soft plush – making them extra cute and cuddly! The toys have been a big hit with my 3-year-old, as well as the adorable clothes. I picked up the Marie outfit, which is a tunic top with characters from The Aristocats on them, along with landmarks from Paris. It comes with pants that have a white flower embroidered at the bottom, and to top it all off a cute Marie-inspired kitten ear headband to go with it! 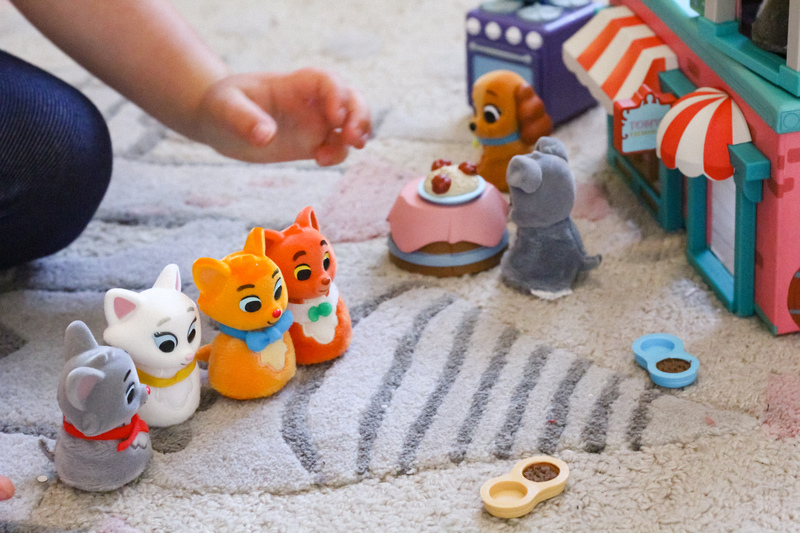 You can shop the whole adorable Furrytale Friends shopDisney collection by visiting their page here. Which item is your favorite?